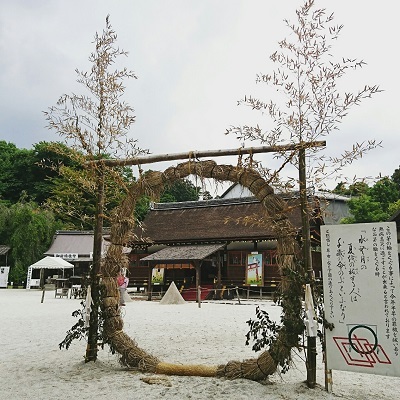 Have you walked through “CHINO-WA” which are set in many Shinto shrines around Japan at this time of the year? It is the ceremony to purify the impurities of the first half year and praying for the health and safety for another half year. In Japan, there are many events and ceremonies like this which provide us an opportunity to thank god and appreciate nature’s blessing. 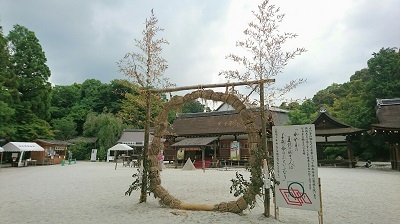 At Kamigamo Shrine, a ceremony of “OHARAE” will be taken place from 20:00 on June 30th, Friday.